Many people call the Triumph Bonneville motorcycle a legend. In the 1950s, a team of motorcycle builders used a Triumph engine to create the fastest motorcycle of its time, after setting a land speed record at 214 mph. 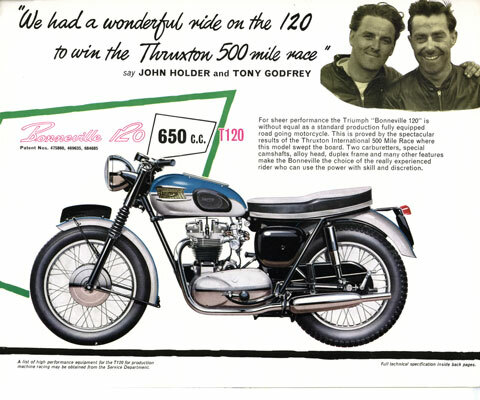 It was in 1959 that Triumph introduced the Bonneville to the buying public. Similar to the same motorcycle that set the speed record, the Bonneville T-120 had a 650cc air-cooled, overhead valve, parallel-twin engine and a four-speed gearbox with a chain final drive. So how exactly did the Bonneville get its name? The Bonneville Salt Flats in Utah is one of the most unique places on earth, stretching over 30,000 acres. It’s been called a “place so flat it seems that you can see the curvature of the earth’s surface.” In other words, Bonneville is the perfect place to set a land speed record. Three Texan motorcycle builders and racers created a streamliner called the “Texas Cee-gar” which was powered by a Triumph Thunderbird engine. After setting the land speed record, this streamliner was the inspiration for the iconic Triumph Bonneville motorcycle. After this first record breaking model, a Bonneville-powered twin-engine streamliner motorcycle ridden by Bob Leppan set a new world land speed record of 245.6 mph in 1960. A labor dispute grounded the production of Triumph bikes in 1973, however despite that a new 750cc Bonneville T140V was introduced this year. Years later, in 1990, the first of the newly designed Triumph motorcycles with modern design and engineering were launched at the Cologne Motorcycle show. The Triumph brand may have realized its heyday during the 50’s and 60’s, with the pinnacle of the Bonneville being in the late 60’s, but the Bonneville is still around today, regaining popularity in the early 2000’s. The biggest news for the Bonneville motorcycle in 2009, on the 50th anniversary of the first Triumph Bonneville, was the addition of fuel injection, a change that has occurred across all of the Triumphs Modern Classics. This Triumph Bonneville was a special, limited edition model that commemorated the original. Whether you want to ride it, show it or just want a fun project to work on, there are many reasons to restore a vintage motorcycle. It’s important to realize though, that restoring a vintage motorcycle is not necessarily like restoring an old car or truck. While the process is mostly the same, early motorcycles often were not kept past their useful life, and many classic and vintage motorcycles were scrapped for parts. The first step to restoring your bike is to purchase a book or manual that outlines servicing that particular vehicle, if possible. It’s also helpful to make sure that the bike will actually run before you go to the expense and trouble of cosmetic restoration. Typically, if the motorcycle has just sat for a little while without running and all the covers are in place on the bike, you can usually get it running to at the very least to turn over without much difficulty. When beginning the restoration process, dismantle the motorcycle one section at a time, and restore those individual sections before moving on to the next. This can help keep you from getting overwhelmed. The sections you can usually work on individually include the front forks, the rear swing arm and suspension, the engine, the body, and the frame. If you do have a restoration manual for the bike, work through the manual from front to back and try to avoid skipping over steps. 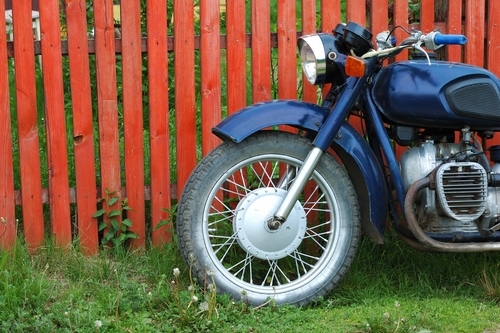 Remember, restoring a vintage motorcycle to its original conditions is very challenging. Some people prefer to customize the bike to their own tastes instead, or create a hybrid. The bike hybrid craze started in England where bike enthusiasts took the best parts of a couple of motorcycles and put them together. One of the more famous of these bikes was the Triton, which was a mix of the Norton Featherbed frame, and suspension with a Triumph engine. 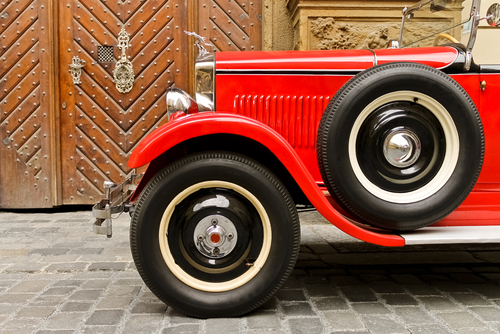 Are you thinking of adding a classic or antique car to your collection, or even purchasing a classic car for the first time? Classic and antique car collecting and restoration is a hobby practiced by people all over the world. Many celebrities even have histories for being car enthusiasts, like Jay Leno for example. He’s known of his huge collection of antique cars and motorcycles going all the way back to the early 20th century. 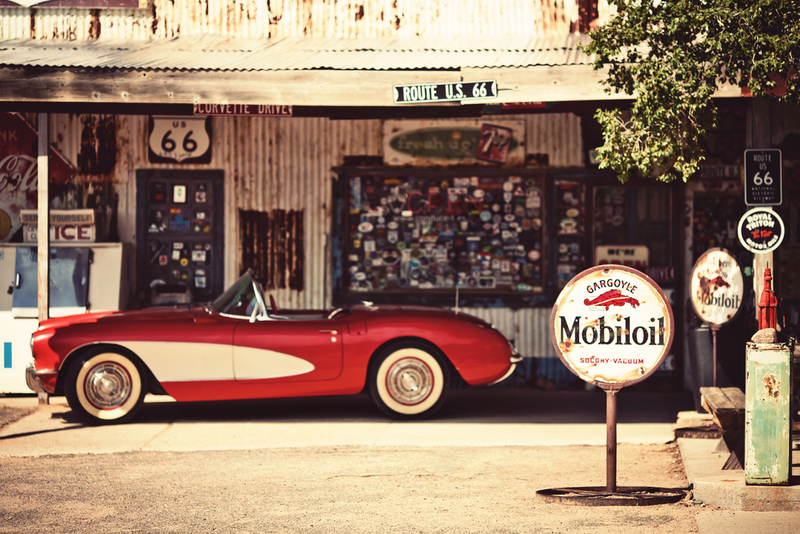 Here are some of the top reasons to own a classic car. If you love tinkering. What car enthusiast wouldn’t love to turn up the hood of a Model T Ford and customize it to their specifications? Or create their own unique “hot rod” from the shell of a discarded car? If you love car shows. Classic car shows are a great way to share your love of automobiles with other like-minded people. Plus, it’s a great way to show off your pride and joy. If you want to make a good investment. There are a high number of classic automobiles that are rising in value. Rare cars can only get rarer, and these cars just simply have a “cool” factor. If you want to preserve history. Many car enthusiasts feel that there is a lot of history involved in each and every classic car, and letting them rust or deteriorate is causing us to lose part of our American heritage. Only five of these vehicles were built before General Motors pulled the plug on the racing program that created it. These cars weighed 1,350 lbs. lighter than a stock Corvette coupe and had a 377 cubic inch aluminum V-8 engine putting out 550 horsepower. They ran with a 4-speed transmission and 4-wheel independent suspension. Because this car is so extremely rare, it is valued between $6 million to $8 million! Now valued at $1.4 million, this vehicle had an aluminum engine churning out over 500 horsepower and was considered the most powerful version of the already strong L-88 Corvette. In fact, the ZL-1 was the most powerful production Corvette available until fairly recently. This vehicle, valued at $1 million, is considered by many car enthusiasts to be the best of the second generation Corvettes. Among these so-called “mid-year” Corvettes, the very best were the 20 L-88’s built that year with an engine officially rated at 430 horsepower. It’s real output was actually more than that. 1969 was the final year of production for the L-88 option package on the Corvette. 116 of these vehicles were built this year and they were intended for race track duty. Prices can vary a lot depending on the car’s racing history, but the average value is $478,000. This vehicle was the first production Corvette. It had a 150-horsepower 6-cylinder engine and a two speed automatic transition. The car isn’t necessarily considered to be well-built, but only 300 were made and their value is about $300,000. Muscle cars are the product of the American car industry that adheres to the hot-rodder philosophy of taking a small car and putting a large-displacement engine in it. Opinions on how the classic muscle car originated varies, but the 1949 Oldsmobile Rocket 88, created in response to public interest in speed and power, is often cited as the first muscle car. 1971 Plymouth Superbird 440: This hardtop was rebuilt in a unique design that met the requirements of NASCAR at the time. The Superbird was equipped with a Magnum 440 cubic V-8 engine and the standard horsepower was 375. The typical asking price for this vehicle is $107,000. 1968-1969 Dodge Charger R/T 440: This hardtop is arguably the most visually striking and memorable of classic muscle cars that there is. The charger has been in various movie scenes throughout the years, increasing its popularity. Most recently, it made an appearance in “The Fast and the Furious”. 1969 Chevrolet Camaro ZL1: This is actually one of the rarest of muscle cars, and one of the most powerful and best remembered. With 500 horses in an aluminum v-8 engine and a top speed of 125 miles per hour, the ZL1 could hit 60 mph in about 5.3 seconds. 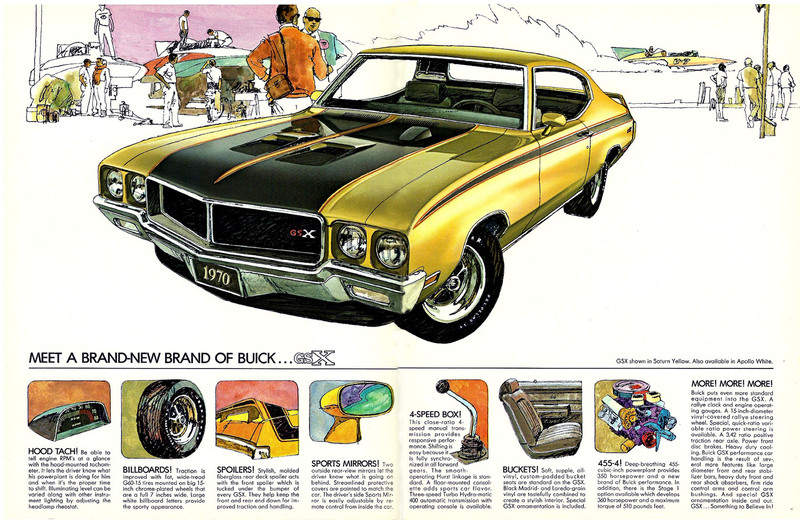 1970 Buick GSX: This car made its debut in 1965, but didn’t really seize national attention until 1970 when the model was launched with a 7.5-liter engine and capability of 400 horsepower. 1970-1971 Plymouth Barracuda: This car has a rich and long history. Though it launched in 1964, it took more than six years to become a hit. In 1970, Plymouth introduced a 7.2-liter engine capable of 390 horsepower, which brought the Barracuda into the mainstream of the muscle car community.